You will find we advertise the best prices on sports nutrition supplements online! Look no further for cheap supplements from quality, top brand manufacturers. Prices so low, they are priced the same as wholesale supplements! PURE WHEY PROTEIN IS THE CLEANEST WHEY PROTEIN ISOLATE AVAILABLE TODAY. PURE WHEY PROTEIN IS THE CLEANEST WHEY PROTEIN ISOLATE AVAILABLE TODAY. NATURAL IN FLAVOR SO YOU CAN MIX WITH ANYTHING. Pharmaceutical Grade Agmatine Sulfate. Supplementing your diet with Agmatine Sulfate may promote: Enhanced Nitric Oxide Production. Arginine Alpha-Ketoglutarate is an advanced form of the amino acid Arginine used by bodybuilders and athletes to prolong the muscle pump, accelerate muscle growth, and assist recovery. Supplement Direct Branched Chain Amino Acids are formulated in a 2:1:1 ratio and each and every batch independently tested for quality. One of the keys to success for anyone who exercises is to keep the muscles and brain energized. Muscle contraction and relaxation are fueled by a chemical form of energy in our cells, called adenosine triphosphate (ATP). The body also needs plenty of methionine to produce two other sulfur-containing amino acids, cysteine and taurine, which help support the body's natural elimination of toxins, builds strong, healthy tissues, and supports cardiovascular health. This unique amino acid supplement actually has two very different, yet impressive functions. As an amino acid that our brain produces naturally, GABA inhibits "over-stimulations" that often lead to stress, irritability and sleep deprivation. Supplement Direct Glycerol MonoStearate (GMS) occurs naturally in the body. When it is ingested as a supplement, it is absorbed and increases the concentration of the fluid in the blood and tissues. 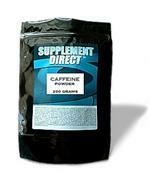 Hi-Tech Pharmaceuticals Caffeine 200mg 100t. Stimerex-ES stimulates thermogenesis, ramping up your metabolism while supporting clean, jitter-free energy. 100% Pure - Free-Form L-Arginine is a conditionally essential basic amino acid involved primarily in urea metabolism and excretion as well as DNA synthesis. Arginine Pyroglutamate is a compound wherein the amino acid arginine is molecularly bonded to a pyroglutamate molecule. Pyroglutamate is a naturally occurring amino acid that can be derived in nature from vegetables, fruit, dairy products and meat. Fitness Support 100% Pure Powder Purest Form, Clinically Tested Transports Fatty Acids Boosts Cellular Energy* A Dietary Supplement Vegetarian Product L-Carnitine is a non-essential amino acid that helps to maintain overall good health. Glutamine is the most abundant amino acid (protein building block) in the body and is involved in more metabolic processes than any other amino acid. Glutamine is converted to glucose when more glucose is required by the body as an energy source. Pure L-Histidine is an essential amino acid that cannot be formed by other nutrients, and must be in the diet to be available to the body. L-histidine is required by the body to regulate and utilize essential trace minerals. Isoleucine is an amino acid that is best known for its ability to increase endurance and help heal and repair muscle tissue. Isoleucine is especially important because of its primary function in the body is to boost energy and recovery from sport. L-Leucine has many beneficial effects on sports performance. It helps preserve lean muscle tissue, it supplies the body with energy when under stress (i.e. when engaging in athletic activity), it preserves muscle glycogen. Phenylalanine is an essential amino acid that is needed for normal functioning of the central nervous system. The body needs phenylalanine to make epinephrine, dopamine, and norepinephrine, three neurotransmitters. Threonine is an essential amino acid that promotes normal growth by helping to maintain the proper protein balance in the body. Threonine also supports cardiovascular, liver, central nervous, and immune system function. Supports Relaxation Encourages Positive Mood Promotes Restful Sleep* L-Tryptophan is an essential amino acid important in human nutrition for the synthesis of melatonin and serotonin, hormones regulates mood and stress response. MSM (Methylsulfonylmethane) is a natural form of organic sulfur found in all living organisms. This natural compound, researched since 1979, provides the chemical links need to maintain numerous different types of tissues found in the human body. Supplement Direct Tribulus Terrestris has been used for centuries in ancient Greece, India and Africa to rejuvenate the body. Tribulus has been used by some of the world's most elite athletes, but may be used by the recreational athlete as well. Sports Nutrition supplements at wholesale prices! Guaranteed Supplements is your one-stop-shop for cheap supplements. Providing great deals on the leading brand names with fast shipping, and great customer service! Wholesale supplements with great service-what more can you ask for.